Ms. Hochstetler was home-schooled from kindergarten through the twelfth grade in her hometown of Leesburg, Indiana. She graduated in 2016. She was presented with a check for $5,000 on the evening of August 23 at a Wichita Aero Club-hosted event at Stearman Field in Benton, KS. A licensed pilot, she has obtained her Instrument rating and is currently working on her Commercial and CFI ratings. She’s also a nationally certified Emergency Medical Technician (EMT) who is employed by Hesston Fire and Emergency Medical Services. She also finds time to serve as a Student Ambassador for Hesston College. “I can’t express how much this scholarship means to me,” Ms. Hochstetler said. “It’s such an honor and it will be a significant help to me in the pursuit of my passion to fly. I look forward to a career as a pilot. “I also want to say ‘thank you’ to all those who have made this scholarship possible. I look forward to the day when I can contribute in a similar way. I’m especially interested in being a part of the Wichita Aero Club’s support of STEM programs. Perhaps I’ll have a chance to join their effort to encourage students at all levels—especially young women,” she added. 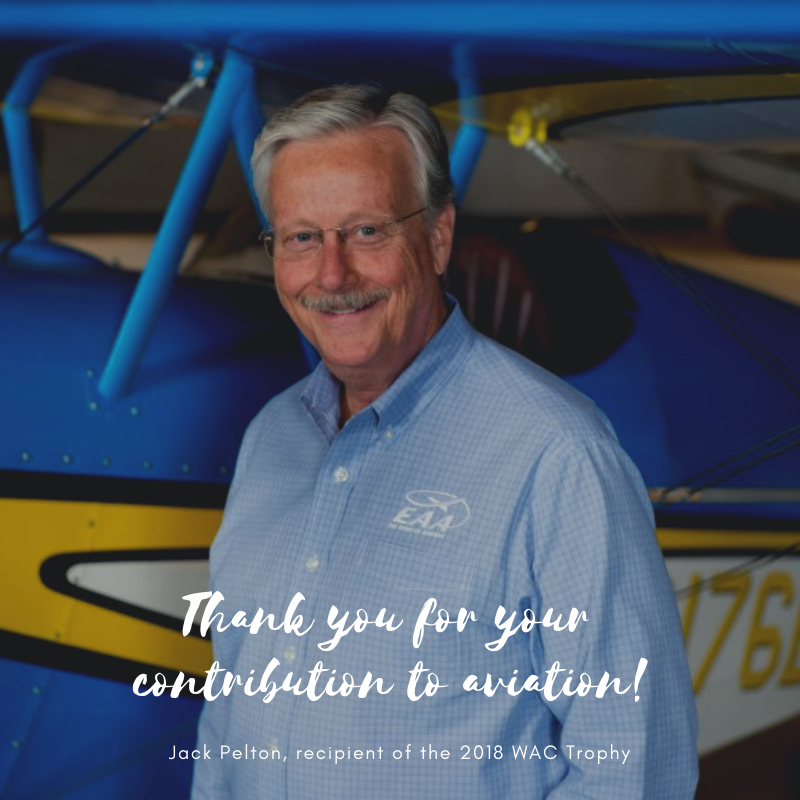 The WAC scholarship honors the memory of Ed Stimpson, the late President of the General Aviation Manufacturers Association and ICAO Ambassador. It has been awarded annually to a student who seek to make a significant contribution to the aviation industry upon completion of his or her education. 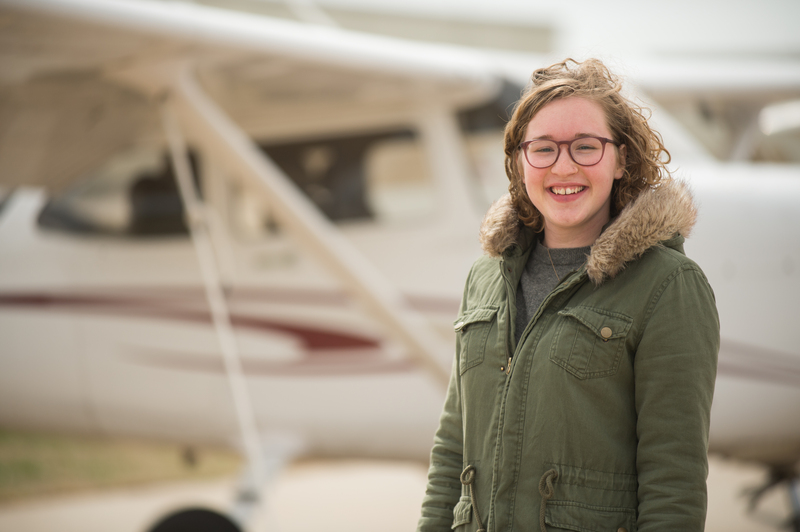 “It’s always gratifying to award one of our scholarships to a dynamic and enthusiastic recipient like Gracie, “ explained John O’Leary, chairman of the Wichita Aero Club Board of Directors. “Her outstanding performance in school and her obvious commitment to serving others made her selection an easy one. For more information on the Wichita Aero Club, the Ed Stimpson Scholarship or events, visit the WAC website at www.wichitaaeroclub.org.